Wifi Dabba, an affordable wireless Internet network a collection of Wi-Fi hotspots spread around Bengaluru offers 1GB at just Rs. 20. It is an interesting way to get online. The user just need to pay Rs. 2 and can use internet all over the city. Talking about Wifi Dabba, it falls into the gap between wired broadband and wireless cellular Internet. Wifi Dabba was launched in September and within few months, it has over 400 locations in Bengaluru. WiFi Dabba facilitates you to pay for the internet that you use and you can also move freely. What is the concept of Wifi Dabba? Wifi Dabba is concept where user can walk up to a store and pay a Rs. 2 coin. The user will get a token to stay online for 24 hours if he has a phone that supports Wi-Fi. The user can seamlessly connect to hotspots around Bengaluru until 100MB quota runs out. For further usage, the user can buy a renewal online. 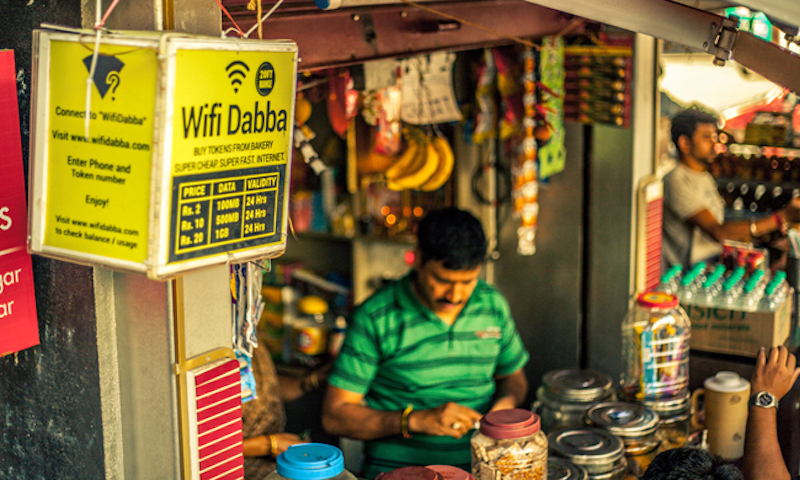 Behind WiFi Dabba, there is a case study related to sachet pricing says Shubhendu Sharma, co-founder and COO of Wifi Dabba. In that case study, the company was not able to sell 100ml bottles so it made these small Re. 1 sachets. Taking cue from this, small sachets for internet have been made. It is believed that if people use small packs then they’ll take the bigger packs also. Basically, “Dabbas” are hotspots that are distributed to small shops like bakeries and tea shops etc. Buy a token at any of the shops, connect to the open SSID, and then punch in your phone number. Enter the eight digit code on the token and user is online. Phone number is entered one time to establish user identity.